Okay, so you’ll find Lyng on the map just beyond the point marked ‘there be dragons’ but there’s nothing medieval about the awesome Cadders Hill circuit – apart, that is, from the amount of torture it hands out. 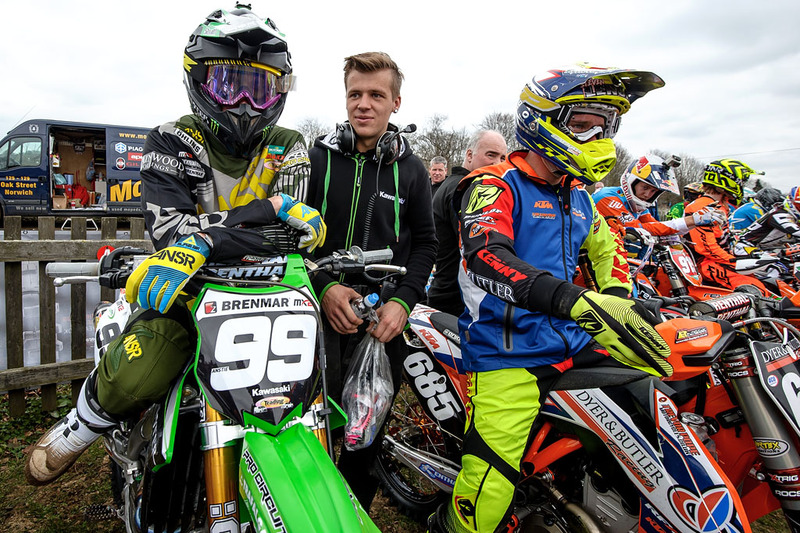 Super-smooth for morning qualification at Sunday’s second round of the Maxxis British Motocross Championship, by the time the final moto got out of the gate the old-school circuit was as comfortable to race as a red-hot poker up the jacksie. By way of a more modern comparison, for the last race the track was rougher than a hen weekend in Blackpool – if Lyng was a lady it would be spilling out of a slutty nurse’s uniform and guzzling blue WKD with Sambuca shots. Yep, it really gets that rough – but that’s what racing at this level is all about. Before we get started on what went down at Lyng the Dirt Doc needs to apologise to Mighty Max Anstie (Monster Energy DRT Kawasaki). Somehow the rapid redhead nipped under the radar in our event preview which is kinda ironic really as radar was the only thing capable of picking him up on Sunday. I’ve known the lil ginge since he was racing a 50cc automatic and it was great to see him at the front of the MX2 field. Anstie hauled all day at Lyng and his three wins underlined the fact that when his bike holds together there’s no-one in the UK faster on a 250F. Despite missing the opening round with an injury he’s still got every chance of winning the title. 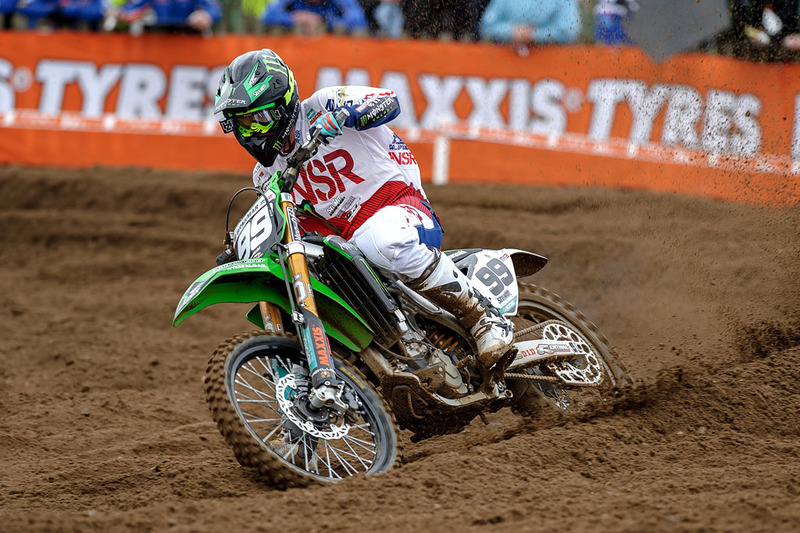 Britain’s newest GP hero Adam Sterry (Wilvo Forkrent KTM) chased him home for second of the day ahead of Frenchman Steven Lenoir (Dyer & Butler KTM) as the leading trio gapped the rest of the field in all three motos. Series leader Ben Watson (Hitachi Revo KTM UK) brought it home fourth and now ties with Lenoir for the championship lead. There’s no apologies needed in MX1 where, as predicted, Shaun Simpson (Hitachi Revo KTM UK) smoked everyone to nail a hat-trick of victories and extend his win-streak to five races on the bounce. Saying Woody was going to win in the sand was hardly a Mystic Meg feat of clairvoyance but it’s good to know all’s well with my crystal balls. Kristian Whatley (Buildbase Honda) ran 2-3-3 for second with Baltic Bullet Tanel Leok (LPE Kawasaki) making up for a race one fifth with two runner-up spots for third overall. A special mention must go to local hero Jake Nicholls (Wilvo Forkrent KTM). Just six weeks after breaking his wrist in a French international, The Reverend was back in action and he bashed out a couple of eighth-placed finishes and then came from last to 12th in the final race after stalling on the gate. Bashing out anything with an injured right wrist is an accomplishment in itself but his last race was heroic. In other news, Spain won the indoor X-Trial des Nations in Nice last Friday evening from the host nation and Team GB. It’s hardly a shock – Toni Bou and Albert Cabestany finished 1-3 in this year’s world championship – but it’s great to see James Dabill and Michael Brown getting their lycra-clad arses on the podium. Finally, while the Dirt Doc was taking a break from the mo’sickle surgery the other day he tuned into a vintage episode of The Professionals which featured Doyle taking on all-comers on a twin-shock RM250 in a spot of secret service scrambling. Fully DG’d up, Doyle looked the nuts apart from wearing his face mask strap too low. Even so, it was still better than the episode of tough-talking Tyneside detective drama Spender where Jimmy Nail went racing in a pair of grey slip-on shoes.